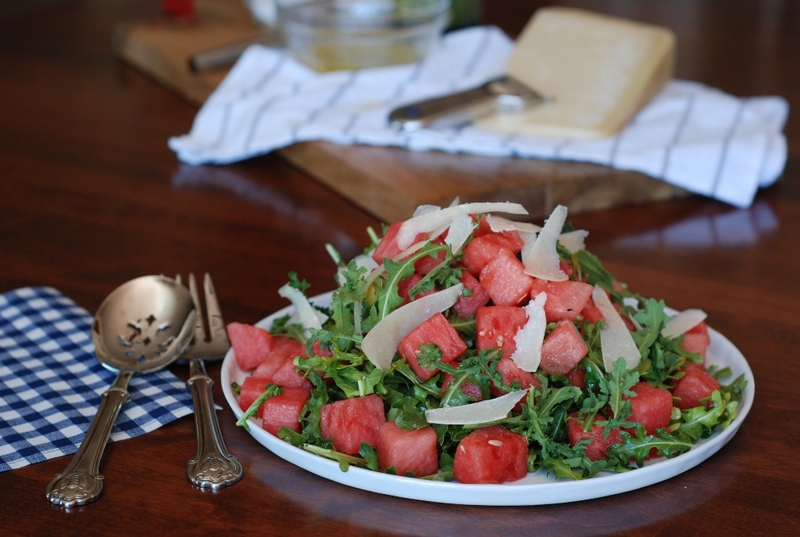 If you are looking for a fresh, light salad for the summer. This is it. It’s easy. It’s fast. It’s fabulous. I actually hate shopping for watermelon. I feel like closing my eyes and just grabbing one. Buying a watermelon is like buying a lottery ticket. 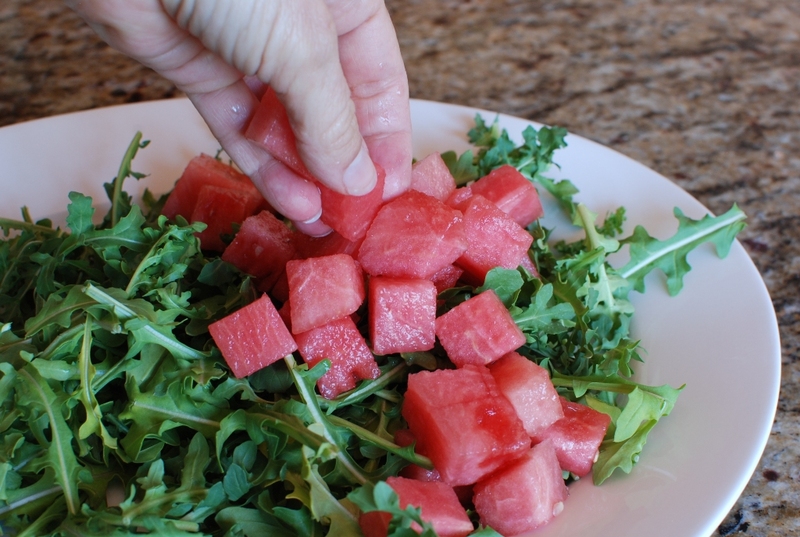 The chances of getting the perfect watermelon that’s crisp and not mushy is a huge gamble. You can sniff, thump and press and still get a not-so-perfect melon. It’s bogus! I was trying to pick the perfect melon today, when a gentleman asked me how to pick a watermelon. He wife had sent him to the store to buy 2 watermelons. I showed him how I do it. I told him to just close his eyes reach in and grab one. It just luck of the draw. I have looked for bee stings, yellow spots where the melon was sitting on the ground. I have thumped it while holding it against by stomach to see if I could feel the vibrations coming through….everything. I probably only get a great melon less than 50% of the time. It’s really best for me to just wait for the farmers market to start selling locally grown melons. In the meantime, I will thump my way through the process. 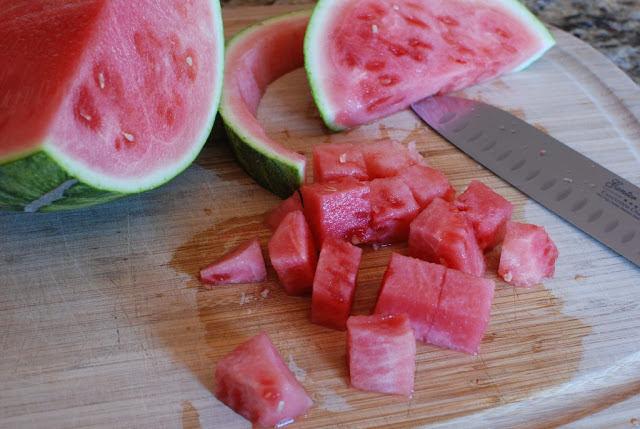 Remove the rind from the watermelon and dice. Sometimes my dices get a little larger than they should be. That’s ok. 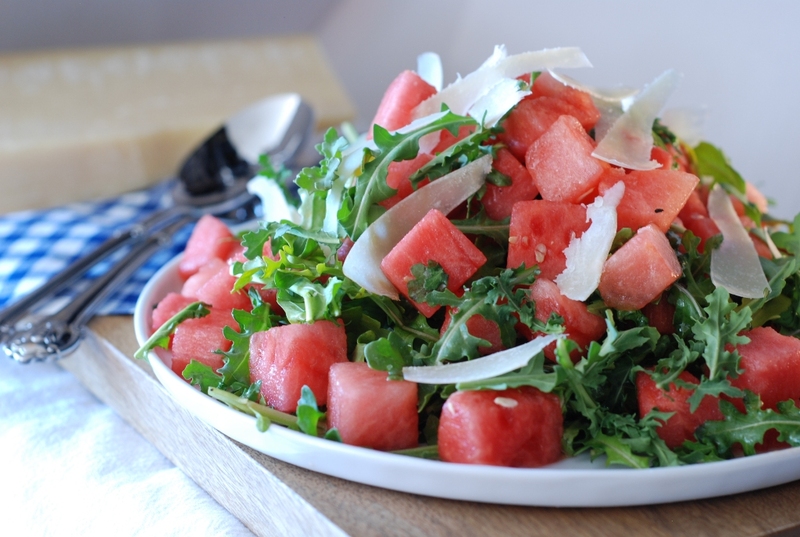 I, also, have a tendency to use a little more watermelon too. 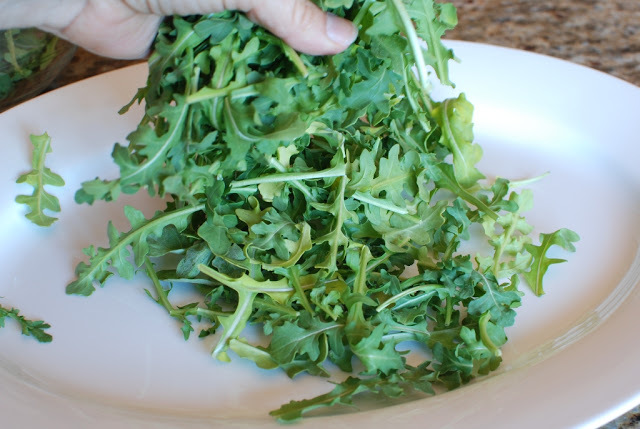 In a large bowl or platter arrange the arugula. 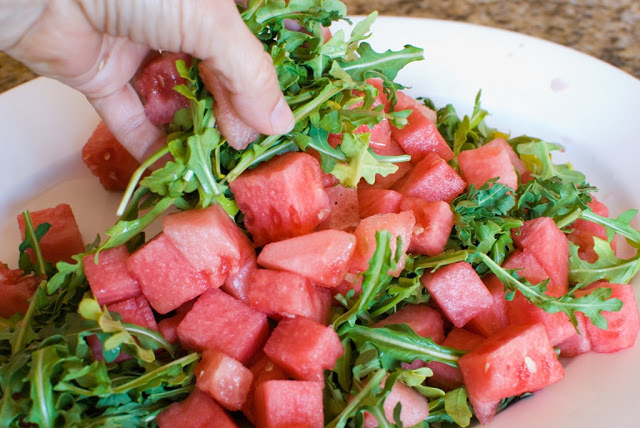 Well, you’re not exactly arranging the arugula because you’re going to be tossing it soon. Basically just slap in on there. 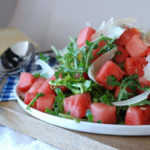 Top with your amazingly sweet, juicy and crisp melon. Juice 2-3 lemons until you have 1/4 cup. I know you wouldn’t dare use the bottled stuff. Gross. 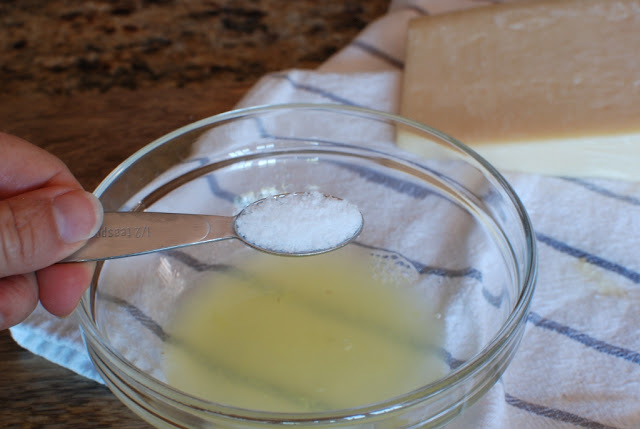 Add 1 teaspoon kosher salt. Less if you are using table salt. Freshly grind 1/4 teaspoon pepper. Let me tell you something about pepper. Fresh ground is best. I don’t even own any of the canned stuff. I through that out YEARS ago. 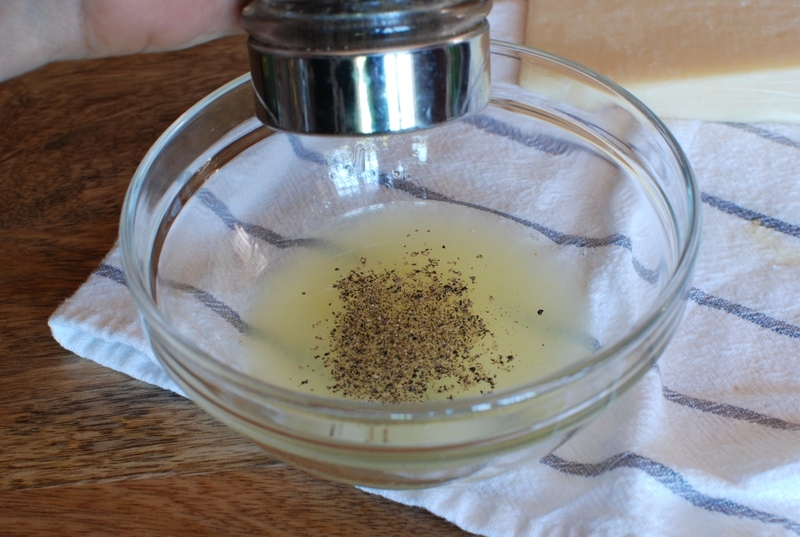 If you want to freshen the taste of your food, change to fresh ground pepper and kosher or sea salt. Yes, it’s that simple. Your food will taste better. Whisk in 1/3 cup good flavored olive oil. 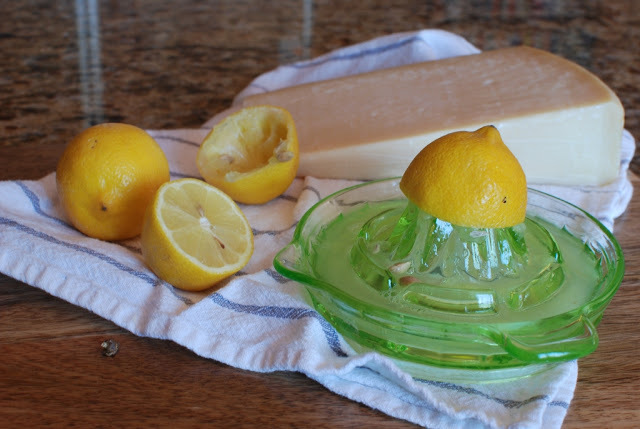 I’m using lemon olive oil because I have it and I love it. Pour the dressing over the watermelon and arugula. Toss gently. I like using my hands. 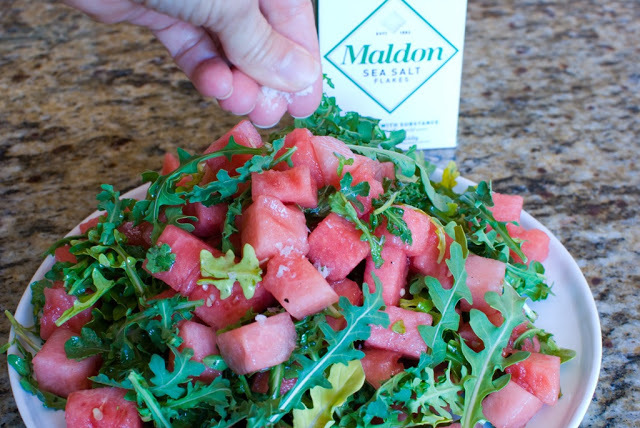 I like to sprinkle my salads with a bit of Maldon sea salt. I love this salt. It’s just a great flavoring salt and accent to any dish. 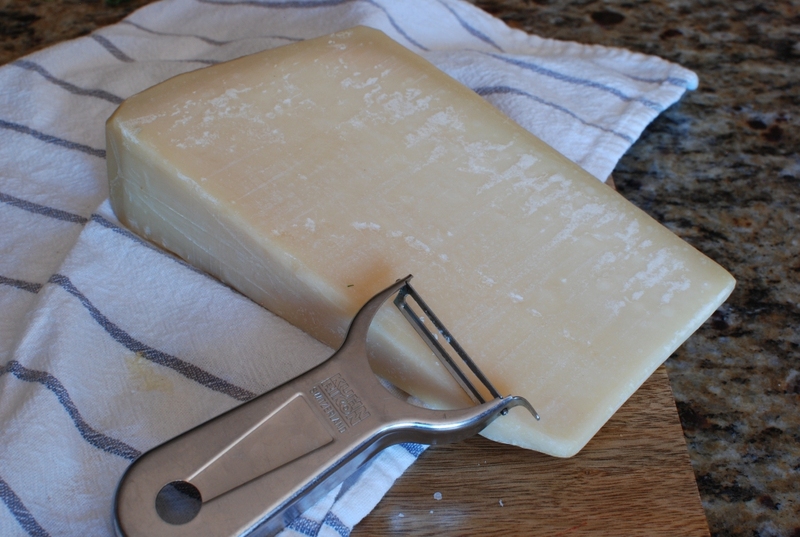 I’m using a potato peeler to slice off large shavings of the Parmesan cheese. I’m actually using Grana Padano because I love it. That’s it. How fast was that? I can eat this entire plate full. 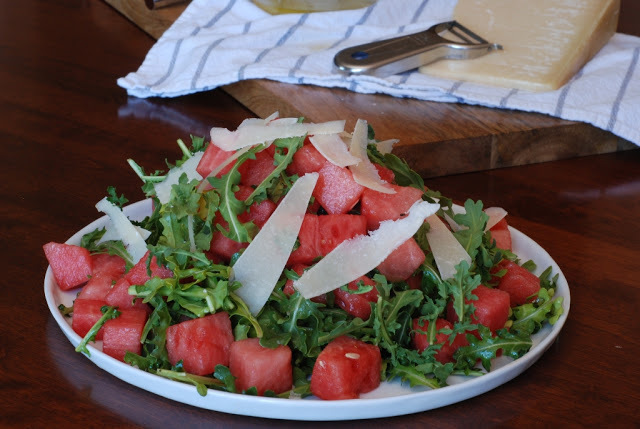 The sweetness and crust of the watermelon with the peppery arugula is just so addictive. I’m a texture person. I love things with a bite. Kind of like cold dark chocolate. I just can’t stop. Let me know if you have sure formula for selecting the perfect watermelon. Just closing my eyes isn’t working so good lately. 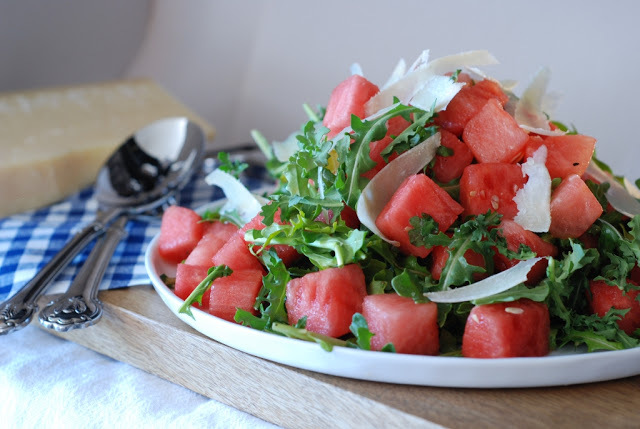 Place the arugula and watermelon in a large bowl. 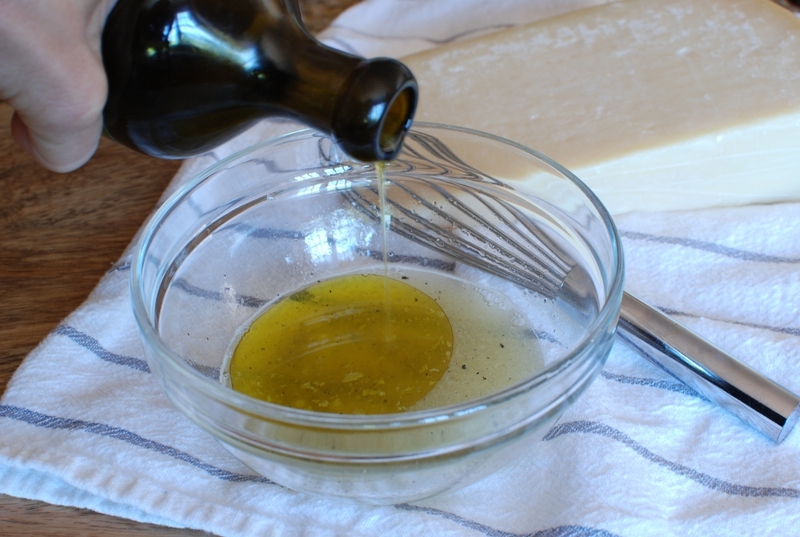 In a small bowl, whisk together the olive oil, lemon juice, salt, and pepper. 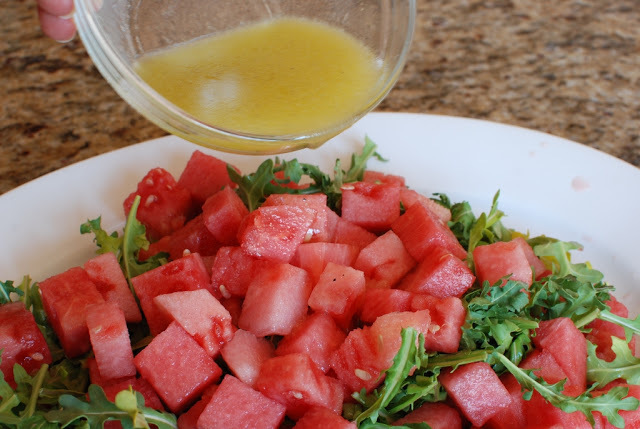 Pour enough dressing on the arugula to moisten. Toss well and place on 6 salad plates. Congrats on also being featured in Deanna's Olive and Grapevine Salad Newsletter this week! Hi Janet, this is a great salad! It's also one of my favourites because if you add some feta cheese and black olives it's a really good lunch. Here in Argentina we buy the fruit in verdulerías (tiny stores that only sell fruits, vegetables and eggs). 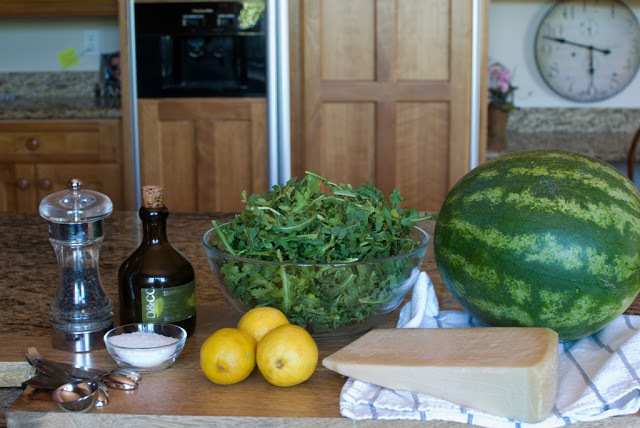 The greengrocer cuts a little part of the melons (like they do with the cheese to see how is maturing) so you can taste it before taking it home. I'm reading the previous post, what a beautiful obsession! It must be so heartwarming to have that connection with the women of your family. I'm in bed with bronchitis (this is the first day that I allowed to be in front of the computer), and, like the witty girl that I am, I persuaded my mother to make me your tomato and thyme soup. She loved it!